Silverman’s announcement came the same day the New York Times ran an in-depth piece about the transformation Etsy has been undergoing to a more profit-driven company under the new CEO. 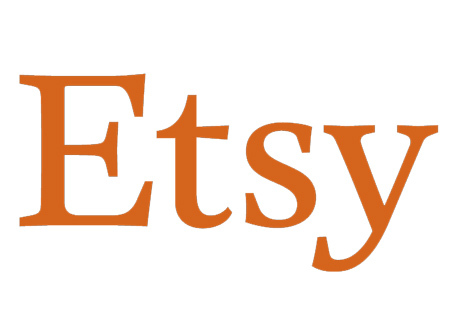 Etsy answered questions about its new mission statement and impact strategy on Wednesday, and Silverman will participate in a Q&A session on the Etsy boards on December 13th. Etsy’s mission is to Keep Commerce Human. We honor this mission every day by building technology that empowers 1.9 million creative entrepreneurs around the world to make a living while they make a life. When Etsy revealed our new mission, impact strategy and goals last month we explained, “in a world of increasing automation and commoditization, creativity cannot be automated and human connection cannot be commoditized.” Our new mission to keep commerce human reflects this ethos. It is uniquely Etsy and it speaks to what makes our marketplace so special. It stays true to our roots while representing what we want to do in the future. It is narrow enough to guide day-to-day decisions, yet broad enough to inspire long-term thinking. It will inform everything we do as a company, from product roadmaps to customer interactions. Above all, it will require us to keep people at the center of everything we do. We only succeed when our sellers succeed — that is why our business model and positive impact are so intertwined. In a world where business has ever-more power, we believe that we have a responsibility to use our platform to shape the world for the better. And we take that role very seriously. Since 2012, Etsy has relied on third-party certification, known as B Corp, as one of the ways we demonstrate our public commitment to running a sustainable, socially responsible business. We are proud of our B Corp certification, and of our track record of improving our B Corp score after each impact assessment. One of the requirements of B Corp certification for corporations incorporated in Delaware is that a company must change its corporate structure from a C Corporation to a benefit corporation. As we have said publicly over the past year, Etsy will not seek conversion to a benefit corporation by the December 2017 deadline because converting is a complicated, and untested process for existing public companies. This means that we will remain a Delaware C corporation, and will relinquish our B Corp status. Although Etsy will no longer be a Certified B Corporation, Etsy and B Lab share a long-term vision for the role of business in society and the positive impact companies can, and should, have on the world, and we look forward to exploring new opportunities to work with them to advance that shared vision. I’m confident that this is the right decision for Etsy. We believe our current corporate structure gives Etsy adequate flexibility to advance our mission and the interests of all our stakeholders. Over the last several months, we have undergone a rigorous process to define business-aligned impact goals going forward, and the key metrics we will use to measure our progress against them. We published this framework in October, and over the past few weeks I’ve been delighted to see our teams develop thoughtful plans around how they will incorporate these goals into their work in 2018. We’re also acutely aware that defining a strategy and setting goals are only meaningful if we intend to hold ourselves accountable. Internally, we are embedding our impact goals into our annual planning process and plan to incorporate them into 2018 individual performance goals (including my own), and will report on progress to our board’s Nominating and Governance Committee. We also remain committed to rigorous external reporting and disclosure of our key performance metrics, both financial and non-financial. We plan to publish an update on our progress by the end of the first half of 2018. I expect this to be an iterative process, as we build out more robust internal systems to track and measure impact, and to incorporate industry best practices and standards that evolve over time. Ultimately, I believe Etsy should forge its own path to deliver a positive impact in the world. I invite you to share your thoughts about how Etsy can continue to deliver on its promise to truly do good by doing well (here’s a forums thread). We’ll plan to summarize some of the most interesting and thought-provoking ideas on our new Impact blog, where we’ll also share regular updates on our experiences and learnings. I am excited to join you on the journey!